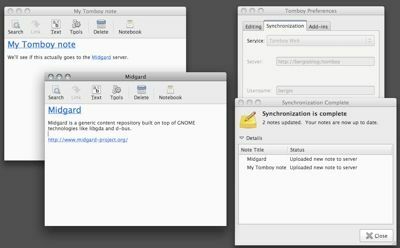 Some very interesting developments in desktop wiki land: Tomboy, the popular note-taking application for GNOME and OS X now supports web synchronization. The developers of Tomboy have launched Snowy, a web service that allows you to synchronize and access your notes online. 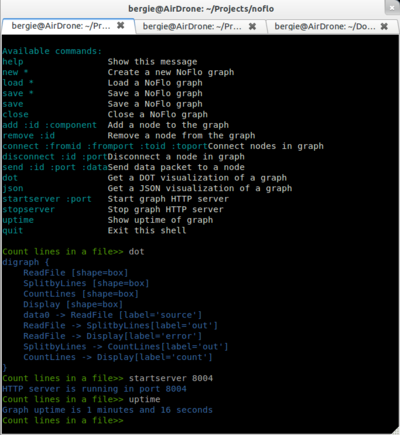 As the API is documented, I decided to add support for it in Midgard too. This way the Tomboy notes will become regular objects in the content repository. In addition to Tomboy, the Mozilla/Maemo Danish Weekend also showed new advances in mobile Midgard2 land: We launched a Midgardized version of Conboy, the maemo port of Tomboy. Both Midgard2 and Conboy were also built for Fremantle and tested on a developer preview machine. Very promising! While there are plans to add web synchronization to next release of Conboy, the Midgard version will also be able to synchronize via XMPP in true peer-to-peer fashion. 09 March 2010. 3 minute read.